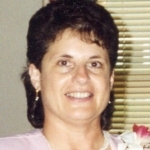 Marion “Emy” Zoe Benson McCool, age 71, of Rockdale Township, passed away on February 1, 2019, at UPMC Hamot after a sudden illness. Emy was born on July 13, 1947, in Belleview, PA, the daughter of Harry Louis Benson, Jr. and Marion Zoe Connor Benson. She graduated with the class of 1965, from Slippery Rock High School and married Jeffry Lynn McCool on September 14, 1967. She worked for over fifteen years at Snap-Tite, Inc. of Union City, and until recently, she drove school buses for the Penncrest School District. Throughout her life she thoroughly enjoyed caring for and showing her horses and was a member of the National Quarter Horse Association and the National Reining Horse Association. She also loved caring for her dogs. She was a hardworking, genuinely honest, wife, mother, grandmother, sister and friend. She was preceded in death by an infant sister, Elizabeth Benson. Survivors include her husband, Jeffry L. McCool of Rockdale Township; her daughter, Jennifer L. Thomas of Edinboro; her son, Jeremy S. McCool of Garland, PA; her daughter, Jessica M. McCool of Waterford; her grandson, Derek Thomas; her granddaughter Brooklynn Morrow and her father, Josh Morrow; and her brother, Harry Benson III and his fiancé, Mary Ann Pranulis of Slippery Rock. 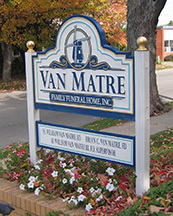 Friends may call at the Van Matre Funeral Home in Cambridge Springs on Tuesday, February 5, 2019, from 2 to 4 and 6 to 8 p.m. and are invited to attend a funeral service to be held there on Wednesday, February 6 at 1 p.m. Interment will be at Millers Station Cemetery. Memorials may be made to Critter Camp and Cuts, 32708 Forest Home Rd., Union City, PA 16438. We are so sorry to hear about your loss and extend our sympathy to your family. We have fond memories of all of you years ago. We are so sorry for your loss and wish to extend our deepest sympathies to the family!! She will be missed.